Add this storage cocktail table to your living room decor for a relaxed and practical centerpiece. 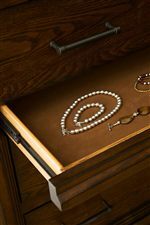 The table features one open display shelf for items like books, magazines, or photo albums, along with one drawer for concealing smaller items like remotes and reading glasses. 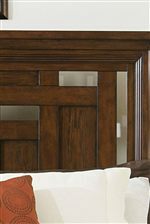 Slightly splayed and tapered legs highlight casual style enhanced by the warm Brown Oak finish. Simple and rustic, with practical storage options, this storage cocktail table has everything you need for your relaxed living room or family room. 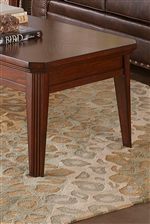 The Estes Park Storage Cocktail Table with 1 Shelf by Broyhill Furniture at AHFA in the area. Product availability may vary. Contact us for the most current availability on this product.